Don’t be tempted to sow too early – it will vary from year to year with the weather. Also think about when you will away on holiday. For example if you sow French beans in early June and you are away for the month of August you won’t be able to eat them so either sow a longer term crop or accept the fact that a friend will probably end up eating them! Winter vegetables need to be included in the sowing plan – I never forget to sow tomatoes in March or my salad crops. These plants take longer from seed to harvest and so sometimes end up being low on the list but if you remember it is great to be able to pick vegetables when the weather is miserable! It is also the case that in July and August you are so busy harvesting that you forget to sow in these months, you can sow both French and runner beans until the end of July and also salads, flat-leaved parsley and herbs like chervil and winter savory. 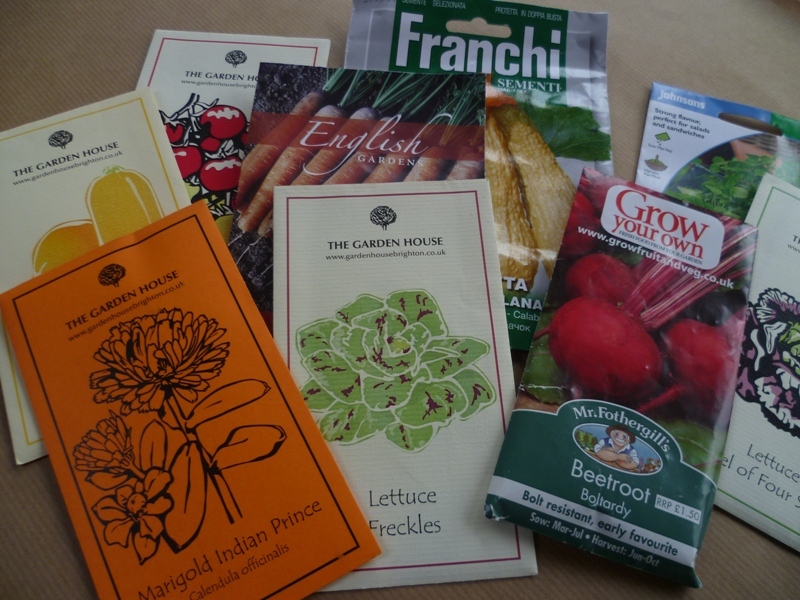 If you sow your vegetables in mid March it gives you six weeks from sowing until the frosts are over which in the South East is the beginning to middle of May. Most seeds need a warm, moist and dark environment. You can use a propagator which is set at between 15-20degrees c (60 -68 f) so you will need to sow your half hard annuals at home as they need to be checked morning and evening for any signs of germination. If you don’t have a propagator you can germinate seedlings on a cool, light windowsill or in an airing cupboard. Don’t forget to turn them every day to prevent them from etiolating (growing towards the light very quickly and becoming leggy).